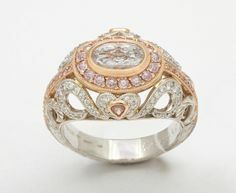 If you’re looking for a diamond engagement ring for your loved one, look no further than A. Jaffe Designer Jewelry. A. Jaffe was established in 1892 and has certainly lasted the test of time when it comes to pristine craftsmanship and certifiable quality. Young Abraham Jaffe became enamored by diamonds at the ripe age of 26, and soon pioneered the West 47th Street jewelry epicenter in New York City. 120 years have passed, and little has changed. There are a number of diamond treatments used in order to optimize a diamond’s appearance, from color treatments to laser drilling. By law, it is explicitly required that the full disclosure of all diamond treatments at the time of sale be revealed. Some treatments, particularly those applied to clarity and color, remain highly controversial within the diamond industry due to the fact that most people still believe diamonds to hold a sacred place among the world of the gemstone, and should therefore be left untreated. Clarity and color enhancement in diamonds can mean that they sell at a significantly lower price than that of an untreated diamond, this is because enhanced diamonds were once lower quality diamonds before the enhancement process took place. After enhancement, the diamonds can visually appear just as good and sometimes even better than non-enhanced diamonds. Here are a few ways that a diamond can be treated and enhanced. Simply put, diamond cutting is about the style and design used when sculpting the diamond before it is polished. There are a number of different diamond cuts that each have their own unique characteristics associated with them. The cut does not necessarily refer to the shape of the diamond, but rather the symmetry, proportion and the eventual polish of the diamond. A diamond’s cut significantly affects its brilliance, which means if it’s badly cut, it will be more likely to be dull and lackluster. The history of diamond cuts goes back to the 13th century, in India, when the natural point cut diamond became a symbol of mystical power and royalty. Historically speaking, diamond mines have been known to pop up in a wide variety of places. 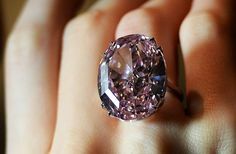 Initially Brazil and India had a stranglehold on the diamond industry, but in more recent years, there have been large discoveries in Russia, Australia, Africa (which alone makes up 65% of the diamond market in the world today) and most recently, Canada. 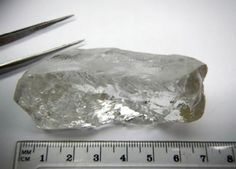 With each new diamond mine discovery comes a new, unique style of diamond that has it’s own idiosyncrasies and charms. When you’re looking for that perfect engagement ring for your loved one or even if you’re buying something special for yourself, it can be difficult to find something that truly stands out from the crowd. You might need to look a little beneath the surface to find what you’re looking for. 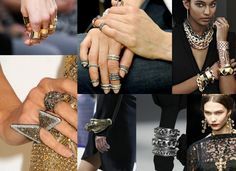 Beyond all the chain stores and high end luxury stores, there’s an emerging scene of jewelry designers that are setting new standards in style. Tacori might just be leading the pack when it comes to this. Summer weddings are the best kind of wedding. The birds are chirping, people are generally happier, the lighting is perfect for some stunning photographs and the weather is hot. Occasionally it can be very hot, so it’s important to dress well for the occasion. There’s no point in getting yourself an enormous layer gown that covers every inch of your body as you’ll end up sweating through the ceremony and feeling uncomfortable for the special day. Thankfully, there are a number of fantastic options out there that cater for the hot summer wedding. Summer wedding fashion is a now a booming industry and finding the perfect summer wedding dress or summer dresses for bridesmaids has never been easier. Here’s a little guide to what’s hot this summer. Choosing the perfect gift for your loved ones birthday can be a difficult prospect. After a few years of buying gifts, you need to get a little creative. 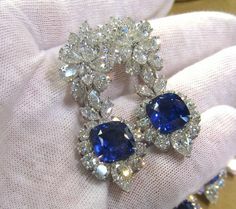 Nothing is more creative than giving the gift of good fortune and prosperity in the form of a birthstone. If you’re looking for the perfect gift for someone’s birthday in the month of June, look no further than June’s birthstones: Pearl, Moonstone & Alexandrite.